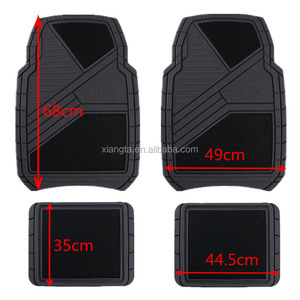 2017 anti dust plastic car mats 100% pvc auto car driver foot mats 1.Specification of PVC coil mats :2017 anti dust plastic car mats 100% pvc auto car driver foot mats &gt;foam backing,without backing,firm backing,nail backing &gt;Thickness: 10mm, 12mm and 15mm &gt;Size: both in mats and rolls. mats size 40*60cm, 45*75cm, 50*80cm, 60*90cm, 80*120cm, 90*150cm, 120*150cm, 120*180cm rolls 1.22*9m, 1.22*12m, 1.22*18.1m, 1.83*18.1m 2. 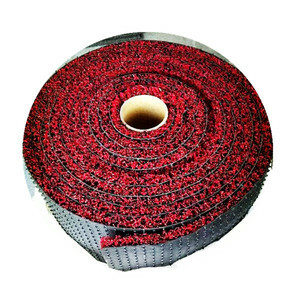 ( anti slip pvc car mat with nail firm backing anti dust waterproof rolled car foot carpet ) Usage and features: The door mat is widely used in indoor and outdoor, home and business, thanks to the functions like absorbent, anti-slip, moisture-proof. Maintenance: 1)Use dust catcher clear the dust on the surface 2)Use soft brush brush the crumbles 3)Use detergent remove the stains on the mat 3.The pictures of coil mats: Packaging & Shipping 4.Package image of PVC coil mats : anti slip pvc car mat with nail firm backing anti dust waterproof rolled plastic car mats Remarks: Any other request please contact with me , i will give you all the details with best service,thank you. 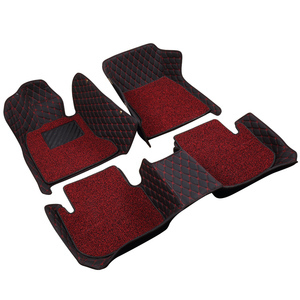 We specialize in manufacturing and selling car mats, trunk mats for all kinds of automobile brands. We have been cooperating as suppliers with many domestic large auto trade groups for a long period. Our products are exported to Russia, South Korea and Southeast Asia countries. 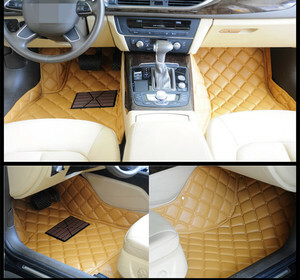 Is a large-scale enterprise specializing in the production of green car floor mat. 4. after sending, we will track the products for you once every two days, until you get the products. If you have any questions about the problem, contact with us, we will offer the solve way for you. 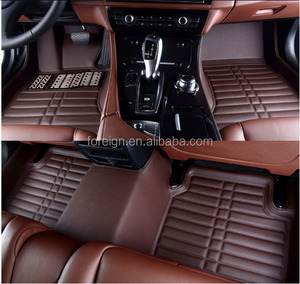 2015 anti slip pvc coil mats for car exported to Korea market car pvc cushion foot mats 1.Specification of PVC coil mats : 2015 anti slip pvc coil mats for car exported to Korea market car pvc cushion foot mats &gt;foam backing,without backing,firm backing,nail backing &gt;Thickness: 10mm, 12mm and 15mm &gt;Size: both in mats and rolls. mats size 40*60cm, 45*75cm, 50*80cm, 60*90cm, 80*120cm, 90*150cm, 120*150cm, 120*180cm rolls 1.22*9m, 1.22*12m, 1.22*18.1m, 1.83*18.1m 2. 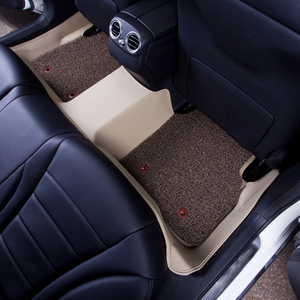 ( 2015 anti slip pvc coil mats for car exported to Korea market car pvc cushion foot mats ) Usage and features: The door mat is widely used in indoor and outdoor, home and business, thanks to the functions like absorbent, anti-slip, moisture-proof. Maintenance: 1)Use dust catcher clear the dust on the surface 2)Use soft brush brush the crumbles 3)Use detergent remove the stains on the mat 3.The pictures of coil mats: Packaging & Shipping 4.Package image of PVC coil mats : pvc car coil mat pvc coil car mat floor anti slip car mat anti dust car mat Remarks: Any other request please contact with me , i will give you all the details with best service,thank you. Moreover, the principle we always maintain is "to provide customers with better quality, better price and better service". Which means size, material, quantity, design, packing solution,etc, will depend on your requests, and your logo will be customized on our products. Q4: What is the MOQ for your production9 The MOQ depends on your requirements for color, size, material and so on. Laiwu Kangjia Carpet Co., Ltd.
You can just clean it with flush water, save your time. Powerful production capacity can effectively shorten the delivery time for you. The express cost will be refunded when you will place order. We can supply your required products in high quality and competitive price. If something urgent, we can quote for you within 2 hours based on all details you provide. The mass production will be started after we get your confirmation on this sample. 2. 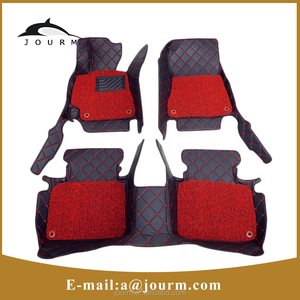 Great elasticity as the dense fibers, so extremely comfortable for standing or walking. 4. Can be printed with different words, embossed with different patterns or show customer's logo . 5. Can be cut into different sizes or shapes , more color and design to choose, customized color design and size are accepted.